As much as we like shopping for clothes and talking about style, we have to admit that like most men we kind of hate shopping for pants. Unlike shoes which fit consistently by size or shirts and jackets which are easy to pop on at the rack, trying on pants involves going into a dressing room (and sometimes waiting in line for the privilege) taking off your shoes and pants, putting on new pants, putting on your shoes to see how they look, taking them off again, taking off the pants, and putting your own pants and shoes back on. Multiply that by the number of pairs of pants you need to buy and it’s quite an ordeal. It’s easy to understand why most men would rather eat broken glass from a cereal bowl than shop for pants, and we’re no exception. We need pants though, so this week we’re looking for pants. The pants look great. That hat on the other hand is highly questionable. Now that Memorial Day has come and gone, we are officially officially into white pants season. 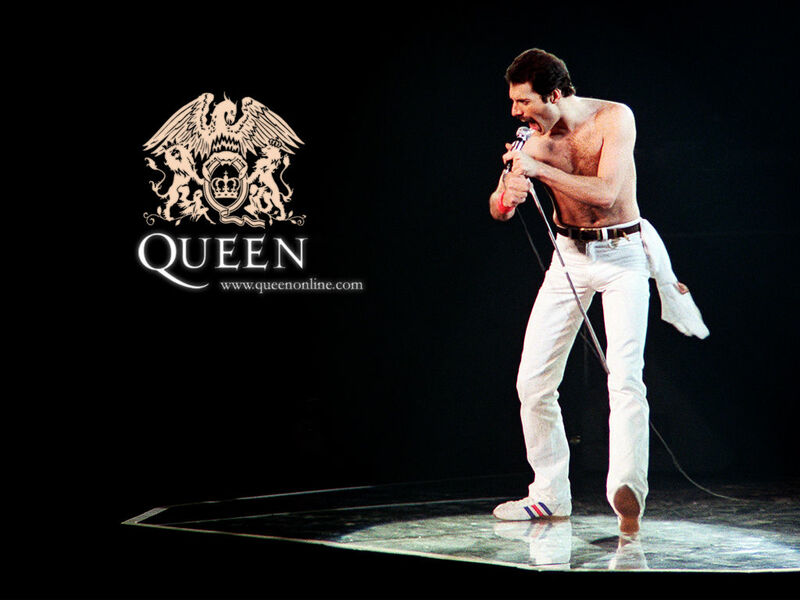 It may come as a surprise that we are very much in favor of white pants. We’d like to see more of them around Baltimore, and that’s going to begin with us. Although we’ve avoided white pants in the past, we’re going to be embracing them this Summer. They’re not the easiest to pull off, and with good reason. 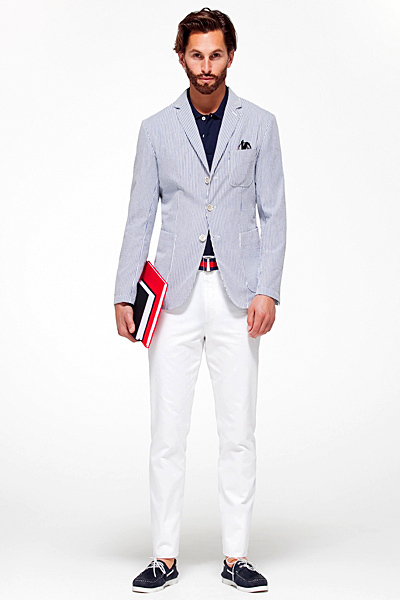 Every time you see white pants in fashion they look really dumb on some affected preppy model. Either that, or they look really gay. No, really. We mean they look super duper shout-it-to-the-back-row gay. It doesn’t have to be that way though. 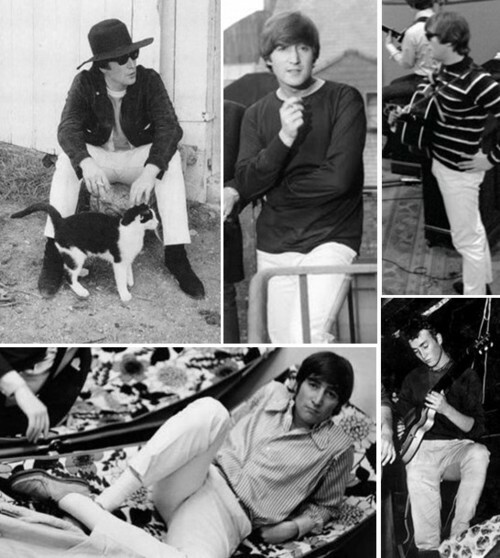 As John Lennon displays here, white pants can convey a timeless, effortless cool. Now that we’re doing things like wearing colorful socks and soccer jerseys and playing golf and drinking outdoors all the time, ownership of white pants has become an absolute necessity. We’ll be wearing them regularly from now until Labor Day, and we encourage the men of Baltimore to do the same. This entry was posted in Dress Code and tagged Baltimore, Fashion, John Lennon, Maryland, men's style, Menswear, Summer, White Pants. Bookmark the permalink.